Summer is finally here. Tomorrow is the last day of school! We are so excited! When my kids were younger, and boredom led to creative play, artwork and playing outside, I didn’t mind so much. A little boredom was good for them. Now that they are older, and boredom leads to video games and YouTube, I like to keep them busy. Here are some of my favorite summer activities for kids. Criteria for this list – they must be free or inexpensive (no Disneyland trips or tips on this post), they must be eco-friendly (i.e. no burning of fossil fuels or excessive use of plastic), they should be suitable to a wide variety of ages (I don’t specialize in babies or toddler activities anymore), and they must be local to Orange County. 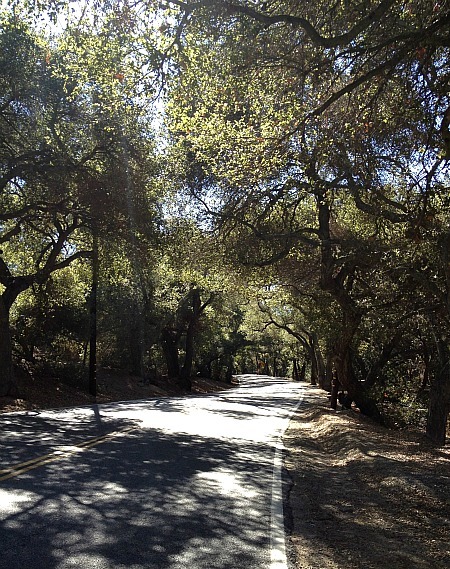 Hiking – The OC Parks have great hiking trails. Some of my favorite are back in the Whiting Ranch area. Of the 27 trails in Whiting, one in particular that is a great hike for kids is the Red Rock Trail. It’s not a really long or steep hike, you can do the round trip (from the park entrance in Foothill Ranch to the end and back) in under two hours – or less depending upon the age of your kids. The best part is at the end, you are rewarded with the Red Rock view. It feels like you have entered the desert of Arizona. So cool! OC Parks Summer Programs – OC Parks also have lots of great summer programs, including educational programs for kids, summer trail hikes, and free concerts during their summer concert series. For a complete list of events, check out the calendar of OC Parks Events. Discovery Science Center – It’s Orange County’s leading destination for hands-on, interactive science fun. I especially like the Eco-Challenge interactive exhibit, where kids can learn how to become an eco-friendly shopper in the Discovery Market, discover the importance of identifying and properly disposing of household hazardous waste in the Eco Garage, and learn how to be wise about sorting trash and recyclables in the Race to Recycle. It’s specifically designed to meet the science content standards for 3rd to 6th grades, so perfect for that age group. Volunteering and Donating – Volunteering is a great way to get your kids to think outside of their own little bubble (always a challenge), and to give back to your local community. In addition to volunteering, we will be cleaning out closets to donate to Goodwill, gathering old blankets and towels to donate to our local animal shelter, and gathering food and clothing donations for the Orange County Rescue Mission. To match your interests and location to the right volunteer opportunities, visit volunteermatch.org. Classes at Local Community Colleges – Your local community colleges offer lots of great classes over the summer – classes specific to hobbies, interests, and sports. From swimming, to cooking, to chess, to art and theater, there are classes for virtually every interest. There are also some academic class offerings, including the College for Kids series at Saddleback College, where students between 7 to 17 years old have an opportunity to experience college life and develop their own individualized class schedules from a wide range of offerings, including: acting, archeology, art, chess, computers, film and animation, history, languages, manners, math, modeling, music, reading, science, sports, study skills, theater, writing, and more. New to the program this summer is an offering of a College For Kids Junior program for 3 to 5-year-olds. All classes are offered in two-week blocks, Monday through Thursday, June 22nd through August 6th. Click here for more information and to register. The Sawdust Festival – The Sawdust Art Festival is a tradition for us each summer. This year, the festival runs from Friday, June 26th to Sunday, August 30th. It’s not only a great activity to do with the kids, it supports local artists in Orange County. The Sawdust Art Festival is a non-profit group educating the public and promoting the art created in Laguna Beach. It’s open from 10-10 daily. Admission is $8.50 for adults, $4.00 for kids 6-12 and free for kids under 5. There are also discount tickets available – for more information, click here. There is plenty to entertain the kids, including a kids art center, reserved just for young artists to make their own creations – at no charge. There are also free live art demonstrations and art workshops (additional fee for workshops). My kids enjoy the “throw-down experience” where they get to create their own pottery on the potter’s wheel – with some guidance from experts to help them. You can get their creation fired and painted for an additional $8.00. OC Beaches – A good day at the beach is hard to beat – it’s one of the reasons many of us live here. There are no shortage of great beaches in Orange County. Some of our favorites are Crescent, Thousand Steps, and Victoria in Laguna and Huntington Main Beach for riding our cruiser bikes. Even the dogs enjoy a good ride along the beach, with a quick stop at Dog Beach, of course. For a good list of beaches in Orange County, check out visittheoc.com. When you go, don’t forget your safer, all-natural sunscreen. You can find a complete list of better sunscreens over at the Environmental Working Group. Which works out well when you have young kids and you are supervising the sunscreen application. When you have teenagers however, they will pretty much refuse to wear anything other than spray-on, brand-name, chemically-laden sunscreens. If you don’t have those at home, they will just borrow their friends at the beach. Eventually, after a few summers of this, you decide you’re not going to die on that hill – that summer is short and they will probably survive the application and inhalation of chemical sunscreen fumes – just as you will survive parenting during the teen years. Just keeping it real here folks. But if you have young kids, by all means take a look at that list and find some safer sunscreens for you and your family. Taking Public Transportation – Public transportation is alive and well in Orange County. You don’t have to drive everywhere this summer! Taking public transportation is easier than you think. Two of our favorite summer destinations in Orange County are Angels Stadium and the OC Fair. The Orange County Transportation Authority (OCTA) makes it easy (and saves you money) when traveling to both. Here is a previous post I wrote here at OC Family about traveling to the Orange County Fair on OCTA. You can also travel to Angels Stadium on the Angels Express – and even get 50% of game tickets when you do. For more details about the Angels Express, click here. Here’s hoping you get out and enjoy some of the many fun, cheap, and sustainable summer activities in Orange County. Happy almost summer! 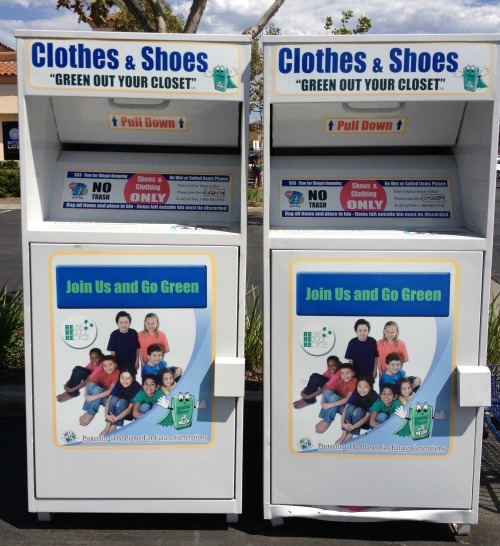 Posted in Kids, See and Do in OC and tagged cheap, eco-friendly, free, green, kids activities, Orange County, parenting. Bookmark the permalink. I recently looked in the mirror and noticed that my teeth are not quite the shade of white that I remember or want them to be. And I show my teeth – a lot. I’ve been called “horse teeth” on more than one occasion. I don’t even mind anymore. I embrace my huge smile, but the yellowing of my teeth over time (thank you coffee and red wine) – I do not love so much. I have been thinking about whitening my teeth for some time now, but was a little unsure about the process – “is it safe? will it work?”. I didn’t know what to do – over the counter strips, in office procedures, the “au-natural” solutions (activated charcoal anyone?). After a bit of research, I found that the safest, most-effective way to whiten your teeth is to have it done by a professional dentist. In-office whitening takes place under carefully monitored conditions which allow for the safe, controlled, pain-free use of a relatively high concentration of bleaching gel – yielding results that are visible immediately. 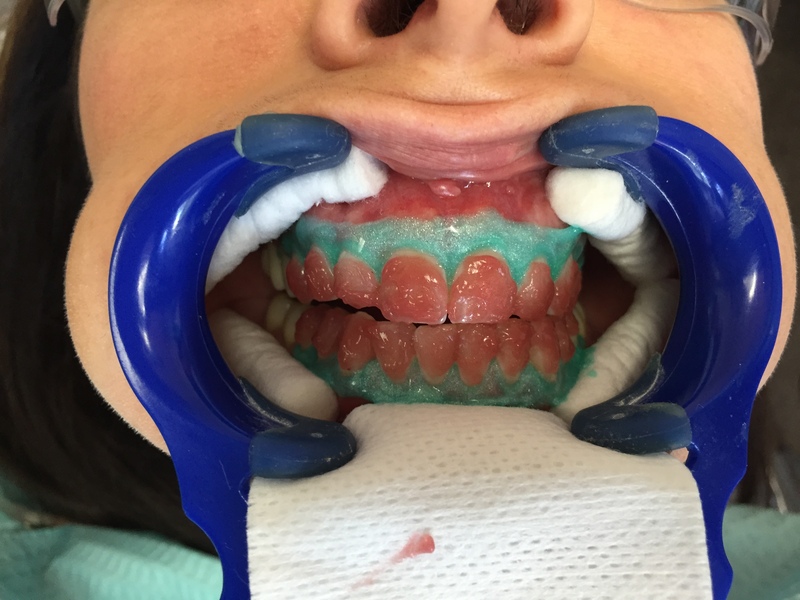 Additionally, gum and tooth sensitivity (formerly drawbacks to in-office bleaching) are more controllable today due to thicker peroxide gels (that don’t soak into the teeth as much as previous gels) and the use of desensitizers such as potassium nitrate and fluoride. 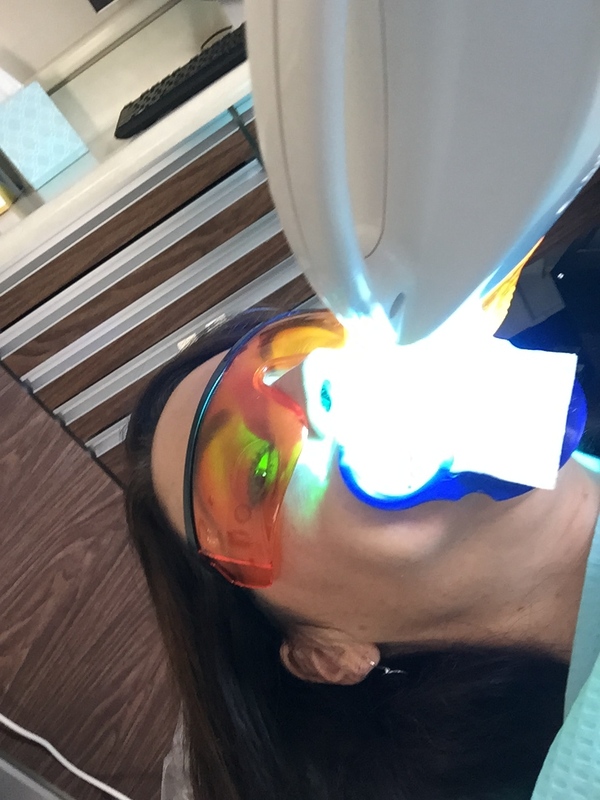 With that information in-hand, I recently visited the offices of K. Douglas Barker, DMD of Newport Center Smile Design for the Philips Zoom teeth whitening procedure. On the day of the procedure, I was still a little nervous and unsure about what to expect. I was quickly put at ease when I met Dr. Barker. He has a wonderful “chair-side” manner. He let me know exactly what to expect and how long the procedure would take. Dr. Barker and staff quickly got to work on my smile. The first step was to apply a barrier to protect my gums. Next, the teeth whitening gel is applied. It remained on my teeth for 20 minutes. That gel is then removed and another is applied along with the light. This takes another 20 minutes. After that, just rinse and you are done. The whole procedure takes under an hour. Your teeth continue to whiten over the next 48 hours. In addition to the office whitening, Dr. Barker sent me home with some whitening trays to use the following day. There is an upper and lower tray. The at-home procedure only took about 15 minutes. So, in just over an hour, I had significantly whiter teeth. The results are even more pronounced in person. I am very happy with my brighter, whiter smile. Dr. Barker doesn’t just offer teeth whitening. His practice, Newport Center Smile Design, is a true full-service dental facility. A family practice that treats patients of all ages, their services include: general and restorative dentistry, cosmetic dentistry, Opalescence and Zoom teeth whitening, Invisalign, full implants and implant restorations, endodontic treatment and periodontal care. Originally from Florida, attending dental school in NYC, Dr. Barker recently relocated to Southern California with his wife Heather, and is here to stay. His office in Newport Beach was occupied by the previous dentist (who recently retired) for 30 years. Dr. Barker wants to do the same in that location! He is here to stay and serve his patients in the Orange County area. I like the fact that Dr. Barker sees only one patient at a time, so each person can get the attention he or she deserves. His office uses digital radiography, which reduces the amount of radiation exposure, and an intraoral camera, which allows for improve diagnostics and shows patients exactly what is going on in their mouth. Plus, Dr. Barker wears the cutest bow ties ever! If you are looking for a family dentist who is knowledgeable, personable, and conveniently located in Orange County for the long-run, Dr. Barker would be an excellent choice. Dr. Barker can help you and your family take care of those pearly whites, and make them even whiter – safely, effectively, and in under an hour. Thank you Dr. Barker for making these horse teeth shine again! Posted in See and Do in OC and tagged dental office, dentist, effective, newport beach, newport center smile design, Orange County, safe, teeth whitening. Bookmark the permalink. I met with Jeff Coffman from Clean Green Technology yesterday for an upcoming story I’m writing for OC Metro magazine. I can’t wait to share all the exciting solutions they have for cleaning up our storm drains, and ultimately, our oceans. 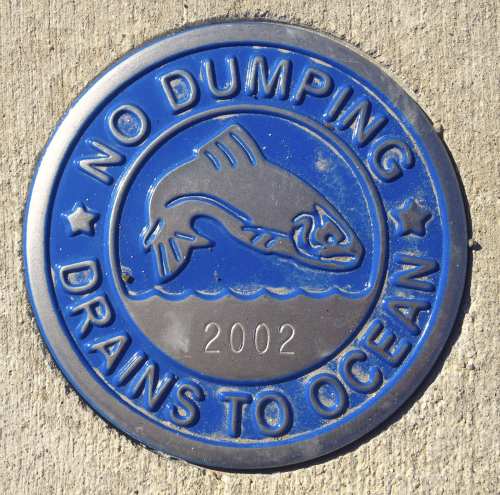 Which reminds me of this image that is on all the storm drains in my neighborhood. Because as much as good people like Jeff are devoting their lives to cleaning up our oceans, it ultimately depends on all of us. 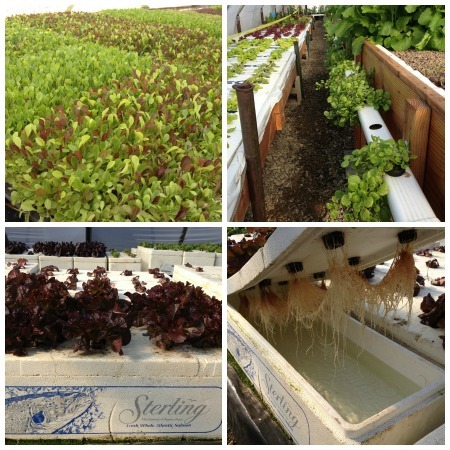 Posted in Environmental Issues, See and Do in OC, Wordless Wednesday and tagged cleanup, drains, environment, green, ocean, Orange County, runoff, solutions, storm. Bookmark the permalink. 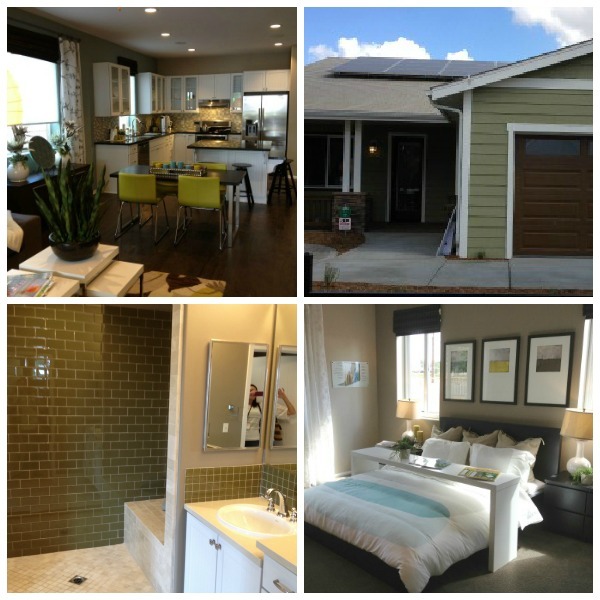 The ABC (Affordable, Buildable, Certified) Green Home was unveiled to the press today at the OC Great Park. I got to preview this one-of-a-kind home and it’s a beauty. For the full story, check out my post over at OCFamily.com. Posted in See and Do in OC, Wordless Wednesday and tagged ABC green home, certified, energy-efficient, green, home, OC great park, Orange County. Bookmark the permalink.